Mukesh graduated and trained in general practice in Leicester, UK gaining additional Diplomas in Obstetrics and Gynaecology and Immediate Medical Care. Mukesh has supported his profession and advocated for better health for all at every stage of his medical career, as student leader, junior doctor and GP principal. This work has seen him become State and National President of the AMA and Chair of the Council of the World Medical Association. He is a Professor in the School of Medicine at Flinders University, works with Brain Injury Australia and chairs the Australian Institute of Health and Welfare. Previously he spearheaded clinical and community efforts to use technology in health and worked for State and Federal health committees including the National Health and Hospitals Reform Commission. He has been awarded the AMA Gold Medal, the President’s Award and Fellowship of the AMA, honorary Fellowship of the RACGP and life membership. 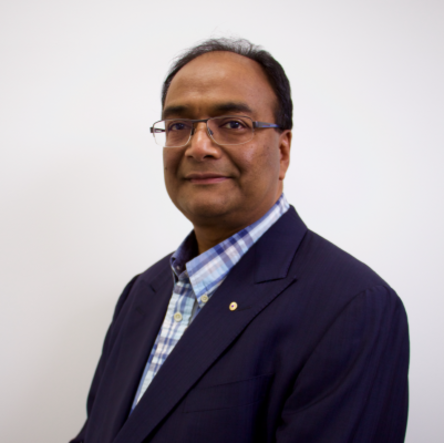 Mukesh enjoys the diversity that practicing as a GP in North Altona brings and is passionate about making a difference to people’s health. He sees his role as one of facilitating his patient’s journey through the health care system and believes in giving people the tools and support they need to take better control of their own health care. Mukesh also enjoys minor surgical procedures including treating people with skin cancers. Mukesh speaks several languages and is available for consultation on Mondays, Wednesdays, Fridays and some Saturdays.